The MC is hitting the road in support of his latest album. 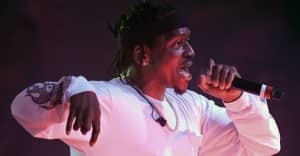 Next spring, Pusha T is planning a string of shows to help promote Darkest Before Dawn. He kicks off his 28-date trip in Vancouver on March 3 and wraps it up April 6 in Minneapolis. See the full list of dates below, and read the G.O.O.D. Music President's FADER interview. Darkest Before Dawn arrives tomorrow.